The person running the @24/7CabTralee Twitter account sent us a pretty crazy video this morning. 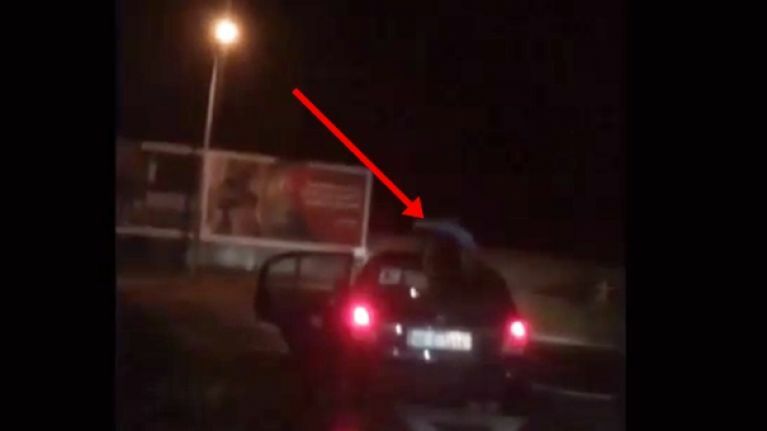 It's footage of a car driving around Tralee in Kerry with a man clinging onto the roof, it's like something from a Bond movie. The man tries to stay on the roof while they navigate a roundabout and then they set off up a straight street. A guy in Kerry clinging onto the roof of a car while it's moving. To make matters worse, there's an L plate on the back window so the driver is probably inexperienced. For more information on road safety, check out RSA.ie.